- Good quality, easy installation, universal fit for all 15"/14" tire. - Perfect for protecting tires from sun,frost snow and foul weather. - Waterproof, Protects against knocks and scratches. 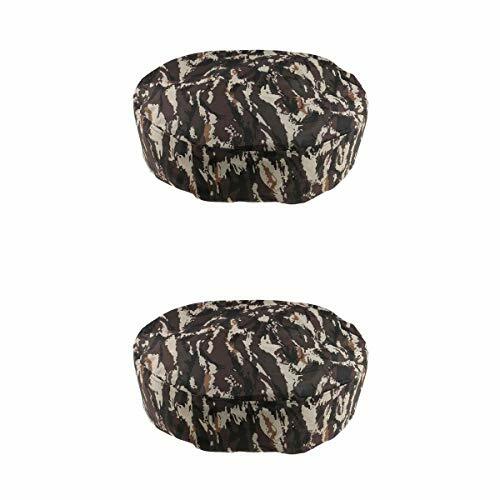 - Strong camo vinyl with stitching edge and elastic closure for snug fit. Good quality, easy installation, universal fit for all 15"/14" tire. Perfect for protecting tires from sun,frost snow and foul weather. Waterproof, Protects against knocks and scratches. Strong camo vinyl with stitching edge and elastic closure for snug fit.